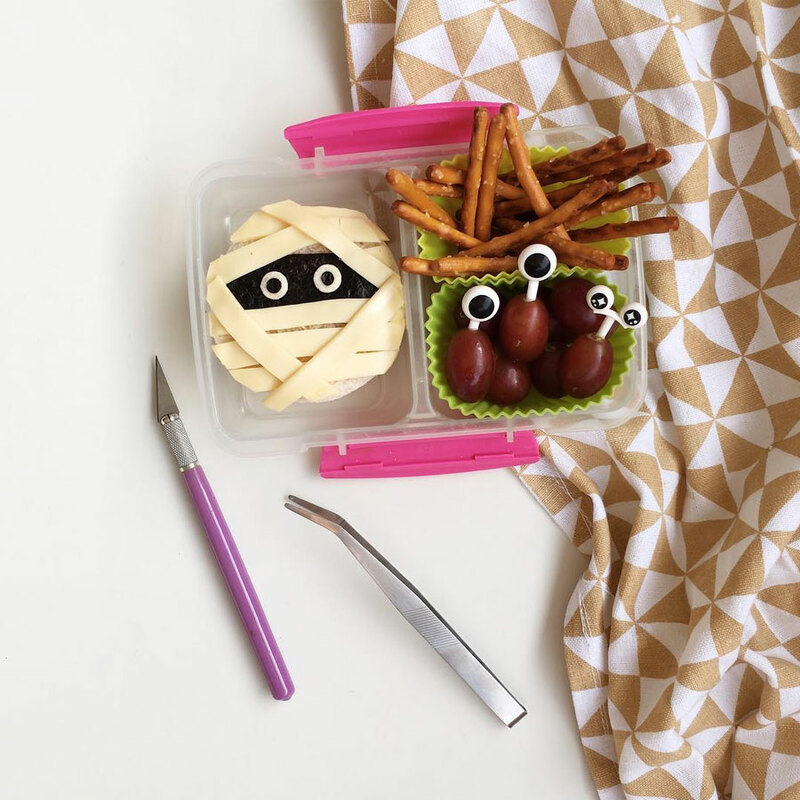 With Halloween coming in two weeks, it’s time to up your lunch-packing game. 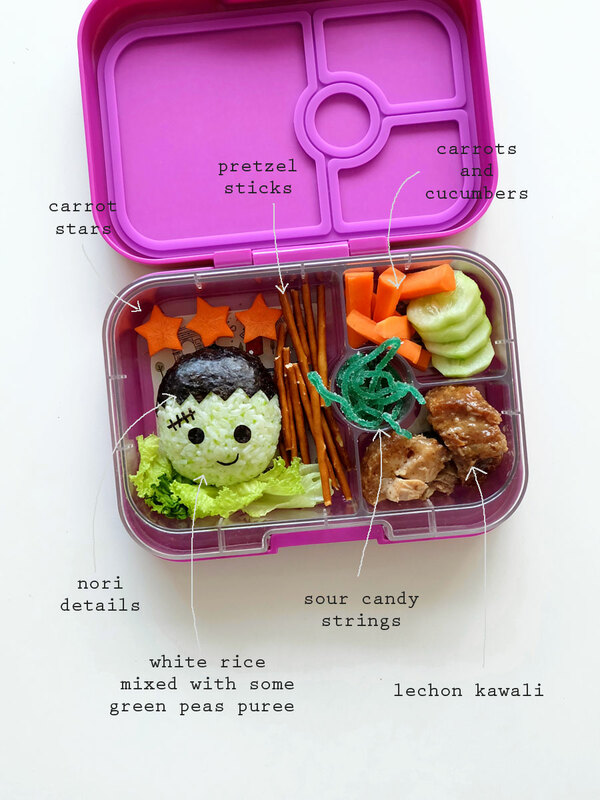 Make your little one’s school day ghoulishly good by adding a spooky surprise inside their lunchbox. 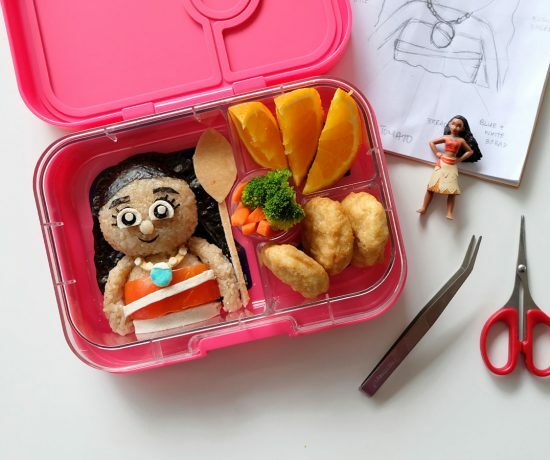 Here are a few freaky bento ideas that are to die for! 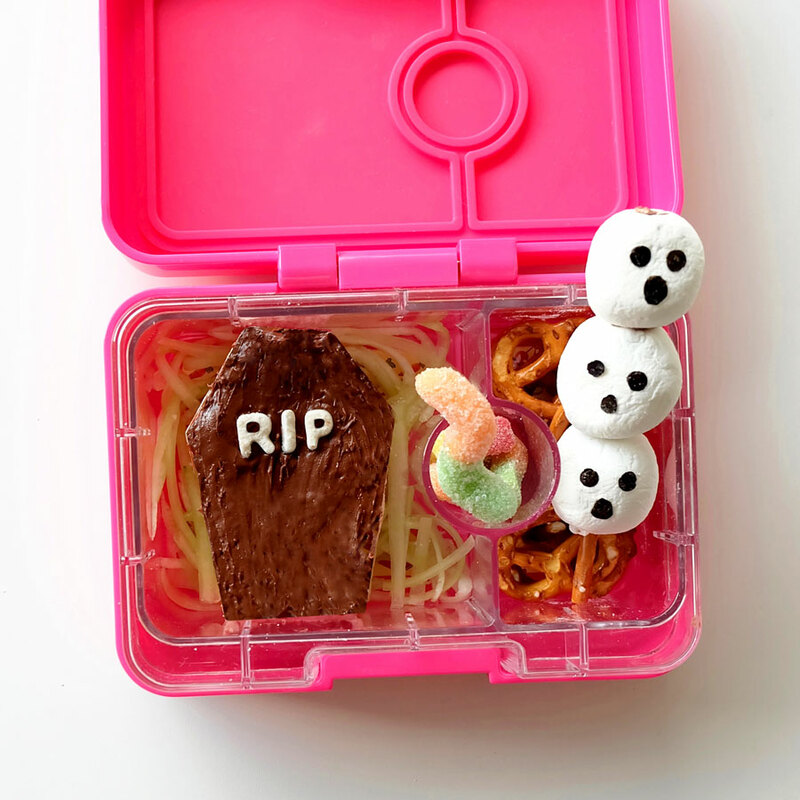 Ghosts, mummies, witches, monsters and graveyards, I’m sharing some of my bento food art creations that are perfect for a little scare. Green Little Frankie made an appearance in this not-too-spooky lunch. 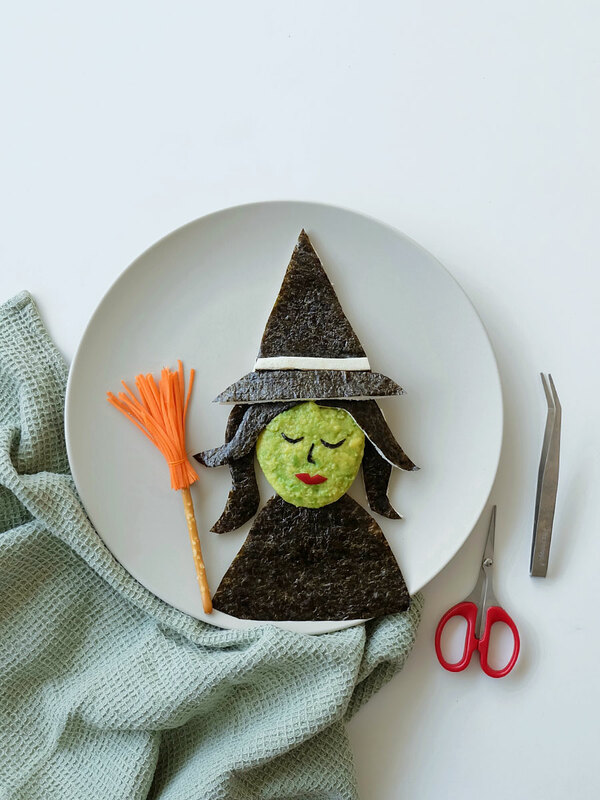 The Frankenstein onigiri is made of rice, mixed with some pureed green peas, and nori for all the details. 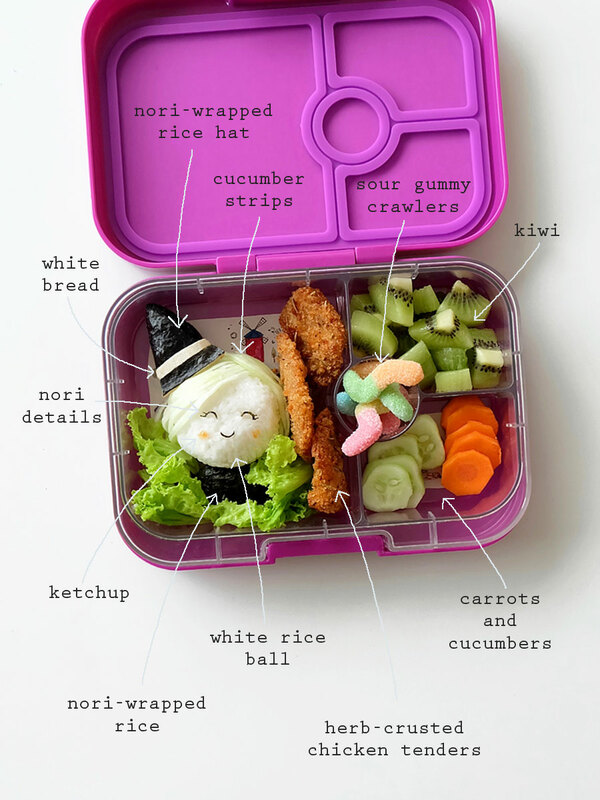 I packed it inside the yumbox with some lechon kawali, carrots, cucumbers, pretzel sticks, and then finished it off with some sour gummy candy strings. Boo y’all! A simple ghost sandwich, with cheese on top and nori for the details. I also filled the snack box with some crackers, pretzel sticks, and marshmallows. The Wicked Witch of the West! I blogged the details of this avocado snack plate HERE. A Mummy Sammie! A simple round Nutella sandwich, with nori and white bread for the eye details, and strips of cheese for the mummy wrap. I finished it off with some pretzel sticks and grapes, paired with some spooky eye picks. Just enough cuteness to keep the fright away! 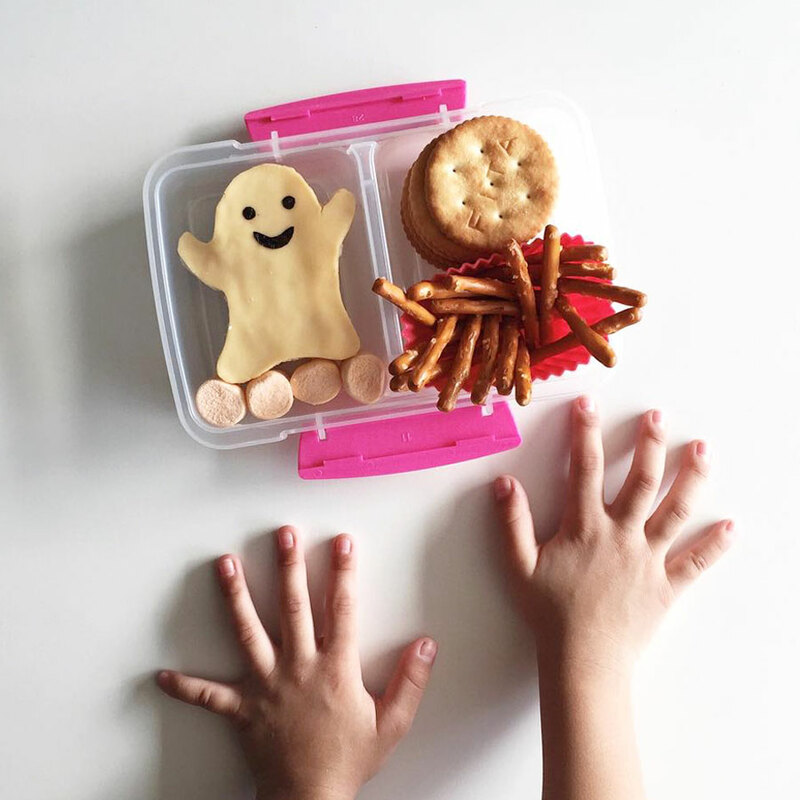 A ghostly graveyard for this fa-boo-lous snack box! Nutella coffin sandwich over a bed of cucumber strips, ghost marshmallows, pretzels, and some sour gummy crawlers. Creeeepyyy! Who said all witches were bad? 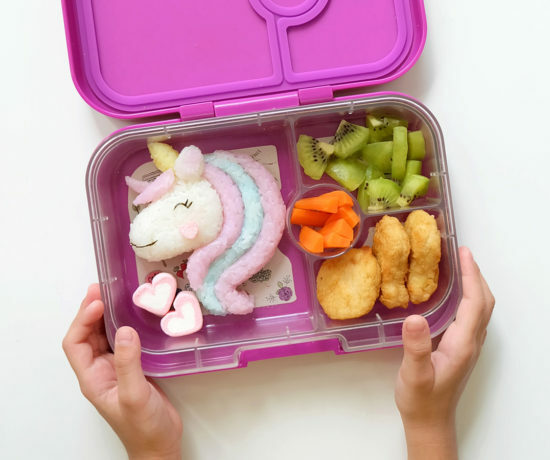 This adorable witch has some yummy spells brewing inside this yumbox lunch. 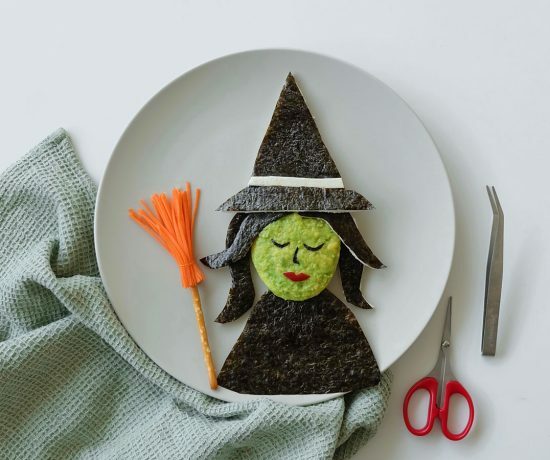 Witch onigiri made of white rice, nori, cucumber strips, and ketchup. I packed her with some herb-crusted chicken tenders, carrots, cucumbers, kiwi, and some sour gummy crawlers. 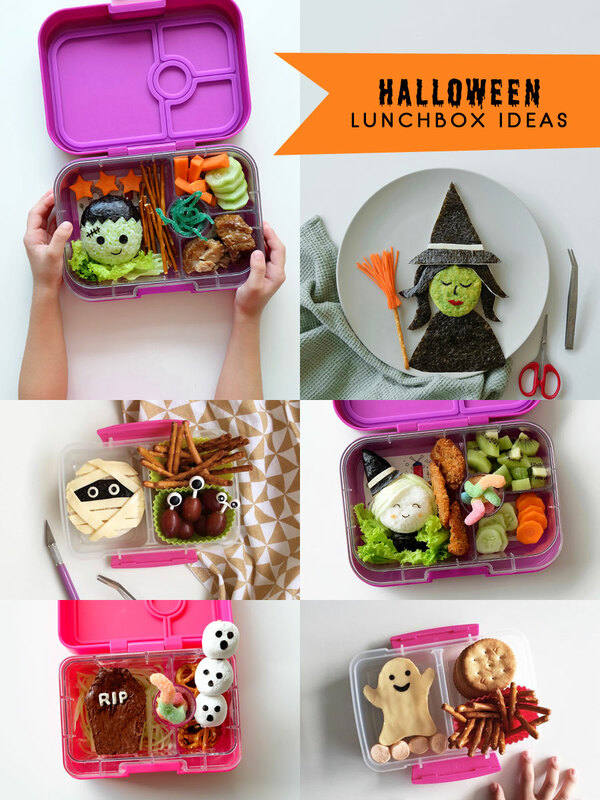 Ready to give your kids a spooktacular lunch? 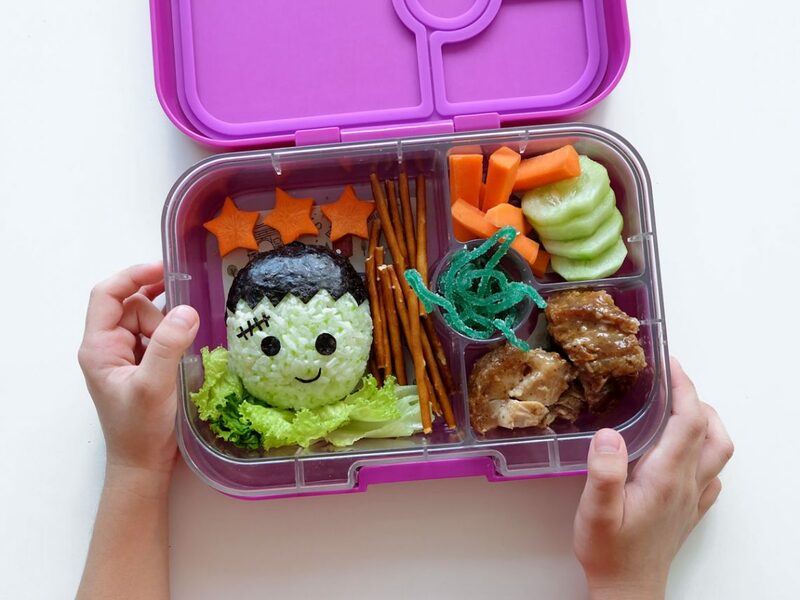 Try any of these lunchbox ideas and treat them to a fang-tastic meal! Go on, these creepy yummies will disappear like magic, for sure!